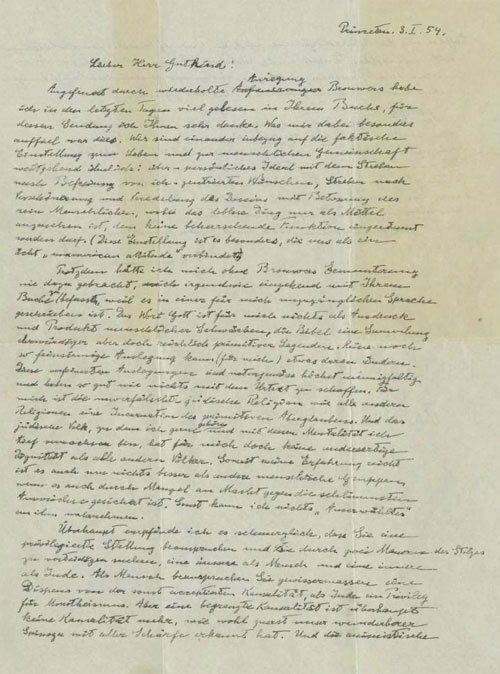 Albert Einstein’s 'God Letter' auctioned for 2.89 million dollars. December. 06, 2018 08:22. wizi@donga.com. A letter in which genius of physics Albert Einstein (1879~1955) expressed his thoughts on religion was auctioned for almost 3 million U.S. dollars at Christie’s in New York on Tuesday (local time), according to BBC. The buyer was not identified. He also pointed out that Judaism is, like all other religions “an incarnation of primitive superstition.” “The Jewish people to whom I gladly belong, and in whose mentality I feel profoundly anchored, still for me does not have any different kind of dignity from all other peoples,” declared Einstein in the letter. “I cannot perceive anything ‘chosen’ about them,” added Einstein. The letter, which comments on the relation between science and religion, was expected to sell for between 1 million and 1.5 million dollars but fetched almost twice the estimate at auction.